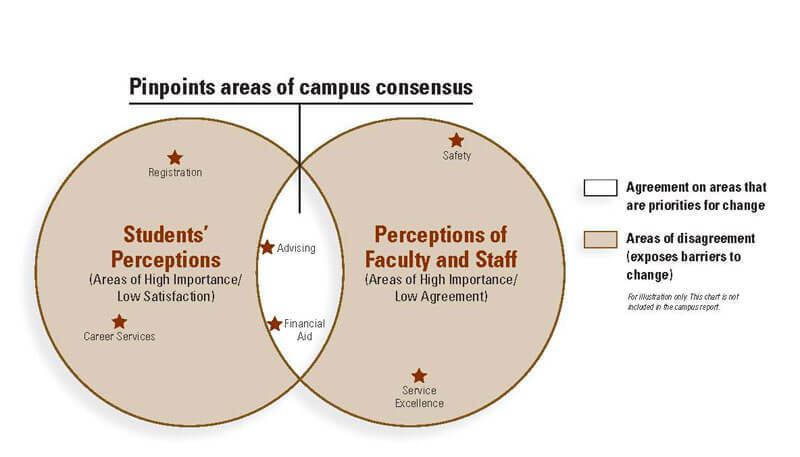 and faculty with their perceptions of the student experience. Keep your retention initiatives on track by using the Institutional Priorities Survey, the parallel to the Student Satisfaction Inventory™ for faculty, administration, and staff. By knowing which issues everyone agrees are important, you’ll be prepared to implement programs that are well-received, and you’ll learn when advance work is necessary to bring particular campus audiences on board with the rest. Learn how to administer the Institutional Priorities Survey by reading these implementation guidelines. After you’ve used the survey, contact us to request an on-site executive summary, an extensive interpretation of your data by our assessment consultants. Learn about the Parent Satisfaction Inventory™, another survey from Ruffalo Noel Levitz, that allows you to compare the perceptions of students and parents.